Mophradat in collaboration with the multidisciplinary art center Le Confort Moderne in Poitiers, France, is offering one residency for a professional musician or ensemble of up to three musicians from the Arab world. The aim is to spend focused time working on a specific project, creating new compositions, or exploring and researching innovative ideas. The residency lasts one week in January 2019, with flights, accommodation, visa and insurance costs, and meals provided, and includes an opportunity for a public performance. Le Confort Moderne has been exploring independent music and contemporary art production for thirty-two years, gaining international recognition for its concerts, exhibitions, encounters, and artistic innovation. Having re-opened in December 2017 after a major renovation, it occupies 8,500 square meters including a concert hall with capacity for 800 people and state-of-the-art light and sound equipment, a music club, a warehouse exhibition space, and a smaller gallery. Its facilities also include a restaurant, bar, record store, fanzine library, rehearsal studios, public garden, offices, storage, and an artist residency program. With its dedicated technical and curatorial staff, Confort Moderne continues mapping out a generous international program through partnerships and open calls. The selected resident(s) — whether a musician or band — will be accommodated in full board at the venue’s residency facilities and have access to rehearsal rooms and technical support to undertake work throughout their stay, but they must be comfortable working autonomously. Le Confort Moderne will also program a concert of the musician or band and pay a performance fee. Applications are in English only, but the residency is also open to French speakers. Applicants must be solo musicians or bands/ensembles of up to three members performing their original compositions (instrumentalists looking for rehearsal time are not eligible). Applicants must be able to demonstrate being active in music scenes locally and/or internationally. Applicants must have an extensive stage practice (concerts, festivals, etc.) and a rehearsing routine. Musicians and bands of all contemporary genres are welcome to apply. A completed application form (available for download here). A CV listing all your performances, albums published online and/or offline, and press reviews. Links to your music online (Bandcamp, Soundcloud, Youtube etc.) or no more than three mp3 files (clearly labeled). A one-page letter explaining your interest in the residency, and the specific project you intend to work on. A technical rider for your rehearsals and concert. The name and contact details of two professional referees who can comment on your recent work. Deadline for application is August 30, 2018. Mophradat will select the residents in collaboration with Le Confort Moderne. All applicants, whether selected or not, receive a response to their applications by October 1, 2018. Due to a high volume of applications and the confidentiality of selection processes, Mophradat does not provide individual feedback explaining the reason an application was not selected. On selection, a contract will be signed between the recipient, Mophradat, and Le Confort Moderne. A narrative summary of what was achieved must be submitted to Mophradat within two weeks of the residency’s end. Mophradat in collaboration with Capacete in Rio de Janeiro, Brazil, is offering a residency opportunity for one curator from the Arab world to develop their practice in a professional context. The residency lasts for three months, with flights, accommodation, visa and insurance costs, and monthly stipend provided, and includes the opportunity to participate in all of Capacete’s programs and a suggested program of visits to galleries and sites of interest in Rio de Janeiro, as well as to meet arts practitioners in the Brazilian art scene. Capacete is a residency program that has been active for twenty years, aiming to set up situations and develop strategies that offer concrete and real alternatives to the unstable field of art. Previous programs have been designed to reflect the interdisciplinary character of contemporary aesthetic practices and promote efforts that join the theoretical world with artistic presentations of diverse formats and dynamics, for a range of audiences. The 2019 program is guided by the theme of “Reconstructing the Senses” to find collective ways of inhabiting a world in which veiled and explicit violence and expropriating dynamics dominate. It looks towards an ecology of knowledge and cosmologies, with guests that articulate this vision. Activities concentrate on the self-management of the Capacete space and on collectivity as a mode of research and a mode of care and knowledge. The residency offers one return economy airline ticket, accommodation in shared self-catering accommodation for the entire duration, a monthly stipend, visa costs, and travel insurance. It includes opportunities to participate in all of Capacete’s programs and a suggested program of visits to exhibitions, galleries, and sites of interest in Rio de Janeiro, as well as to meet with arts practitioners in the Brazilian art scene. Capacete also provides practical support, information, interpretation, and accompaniment for shorter trips, etc, and the curator will be offered an opportunity to present a lecture/talk to introduce their practice to the local public. Please note that there are no formal requirements regarding the output of the residency. Applications are in English only, as this will be the working language of the residency. The program is for candidates who seek to develop their curatorial practice in a professional context and create new projects reflecting their experimentation and research. Applicants must be professionally engaged in curatorial activities. Applicants must have been working for at least five years and have a demonstrable exhibition or project history. They may hold an institutional position only in a non-commercial arts organization, or work as freelancers. A completed application form including name and contacts of two references, available for download here. A curriculum vitae listing all educational and work experience. Deadline for application is September 14, 2018. Mophradat will support only one resident to participate in this program in 2019. Mophradat in collaboration with Capacete will select the candidate on the basis of the quality of their work, their potential to take full advantage of the program, and the specificity of their interest in the context of Capacete, who are responsible for the final selection. All applicants, whether selected or not, receive a response to their applications by October 30, 2018. Due to a high volume of applications and the confidentiality of selection processes, Mophradat does not provide individual feedback explaining why an application was not selected. 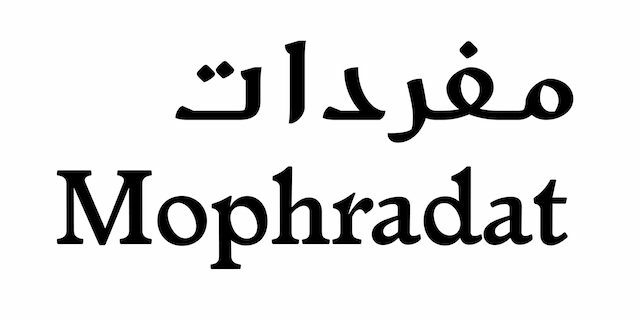 On selection, a grant agreement will be signed between the recipient and Mophradat. A narrative summary of what was achieved must be submitted within two weeks of the residency’s end.